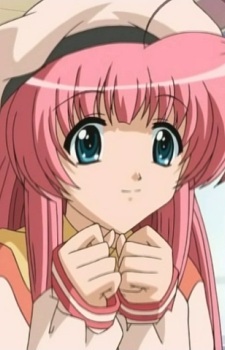 Momiji Aio is a second-year student, recognizable by her long pink hair and flamboyant wardrobe; aspiring to be a playwright and director. A short, friendly girl, Momiji is meek and easily intimidated by nature; on stage, a serious and capable actress. She is good friends with Mirai.